Which Revolutionary Pennsylvanian Are You? I have worked hard to achieve a comfortable income and position in life. My family has always had plenty of money. If financial success is measured by the richness of one's life experience then I am second to none. You have to choose one condiment to eat for the rest of your life. What is it? Metal & Wood Shop/Tech Ed. What is key during a revolution? How do you feel about wigs? I prefer my natural locks (or lack thereof). They are awesome! I own them and wear them all the time. They're okay. I may or may not have worn one in the past. How do you feel about weapons? They are unnecessary. I do not support ownership or use. They are something necessary for protection, for the military, etc. Love them! I'm a proud owner, maker, supporter, etc. What animal are you most afraid of? What do you listen to on your morning commute? What is your favorite Revolutionary Era part of Pennsylvania? How many children do you have (or would you like to have)? Congratulations! You're John Penn! Traditionalism and Conservatism are likely your strong suites. John Penn (14 July 1729 – 9 February 1795) was the last governor of colonial Pennsylvania, serving in that office from 1763 to 1771 and from 1773 to 1776. Educated in Britain and Switzerland, he was also one of the Penn family proprietors of the Province of Pennsylvania from 1771 until 1776, holding a one-fourth share, when the creation of the independent Commonwealth of Pennsylvania during the American Revolution removed the Penn family from power. Congratulations! You're William Bradford! You're likely a wise and unique individual, perhaps with a flair for the eccentric things in life. William Bradford (1719 – September 25, 1791) was a printer, soldier, and leader during the American Revolution from Philadelphia. Bradford was the publisher of The Pennsylvania Journal, the first number of which appeared on December 2, 1742. In later years each issue had the still-recognized image of the snake chopped into segments with the motto "Unite or Die". Variations of this logo were also used by Paul Revere, Benjamin Franklin, and others. In 1754 he also opened the London Coffee House in Philadelphia and began to write marine insurance. As a publisher and writer he attacked many policies of the British government, and was especially vocal in his opposition to the Stamp Act in 1765. Congratulations! You're William Maclay! You are likely interested and/or involved in politics with quite a superior intellect. William Maclay (July 20, 1737 – April 16, 1804) was a politician from Pennsylvania during the eighteenth century. Maclay, along with Robert Morris, was a member of Pennsylvania's first two-member delegation to the United States Senate. Following his tenure in the Senate, he served in the Pennsylvania House of Representatives on two separate occasions, as a county judge, and as a presidential elector. Congratulations! You're Chief Woapalanne! You are likely a fierce and fearless leader! Chief Woapalanne (died June 1779) — also known as Chief Bald Eagle (the English translation of his name) — was a Lenape (Delaware) Indian tribal leader of mid-18th century central and western Pennsylvania. In his later years, he was said to have frequently traveled to the distant hunting lands of the Monongahela River watershed. He belonged to the Munsee (Wolf) subtribe of the Lenape. Congratulations! You're Sally Bache! You are likely a kind and generous individual - always ready to go the extra mile for your family or team! Sarah Franklin “Sally” Bache (September 11, 1744 – October 5, 1808) was the daughter of Benjamin Franklin and Deborah Read. She was a leader in relief work during the American Revolutionary War and frequently served as her father's political hostess, as her mother had died in 1774. Congratulations! You're Sandy Flash! You're likely very independent and determined - with a bit of rebellious streak! James Fitzpatrick (died 1778), better known as Sandy Flash, was a highwayman who operated in the areas west of Philadelphia, Pennsylvania (now parts of Chester and Delaware counties) in the late 18th century. Congratulations! You're John Morgan! You likely have an inclination toward health and wellness, and perhaps you work in a healthcare field. John Morgan (June 10, 1735 – October 15, 1789) was co-founder of the Medical College at the University of Pennsylvania, the first medical school in Colonial America; and he served as the second "Chief physician & director general" of the Continental Army (an early name for the Surgeon General of the United States Army). He also founded the American Philosophical Society in 1766 in Philadelphia. Congratulations! You're William Henry! You are likely quite a craftsman and up for a challenge! William Henry (May 19, 1729 – December 15, 1786) was an American gunsmith and merchant from Lancaster, Pennsylvania, and a delegate for Pennsylvania to the Continental Congress in 1784, 1785, and 1786. 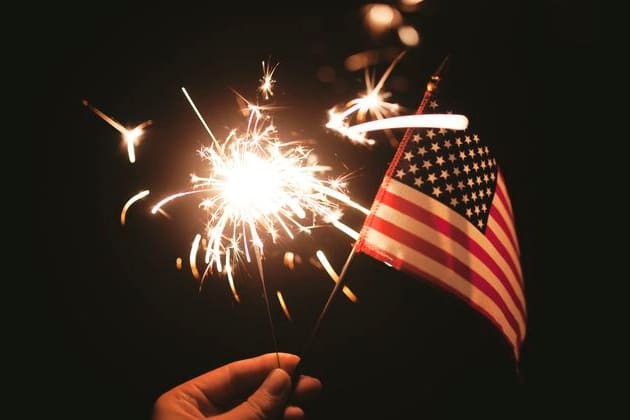 As we prepare to celebrate our nation's independence as Pennsylvania natives we are proud that our state was the home to many influential individuals during the American Revolution. So, which Revolutionary Pennsylvanian are you?